Can I Recover Data from My Kingston USB Flash Drive 8GB? I have a problem with my Kingston flash drive. When I connected it with my Windows XP computer, it was recognized by my computer but I could not open it. I have many important photos in it . Is there any way to retrieve them? If you have tried your Kingston flash drive with other computer and it could not be opened neither, formatting your flash drive would be a good decision. Before you decide to format your Kingston flash drive, you can find Kingston flash drive recovery software to recover files from your Kingston flash drive. 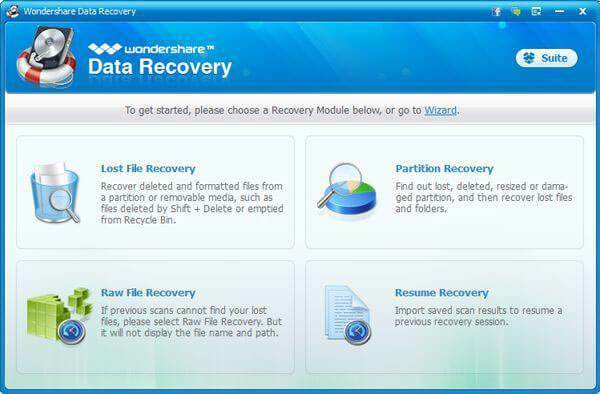 Here I recommend Wondershare Data Recovery, or Wondershare Data Recovery for Mac for you. No matter your Kingston flash drive data are lost due to formatting, system problem or accidental deletion, they can be easily retrieved with this program. The program is compatible with both Windows computer and Mac. 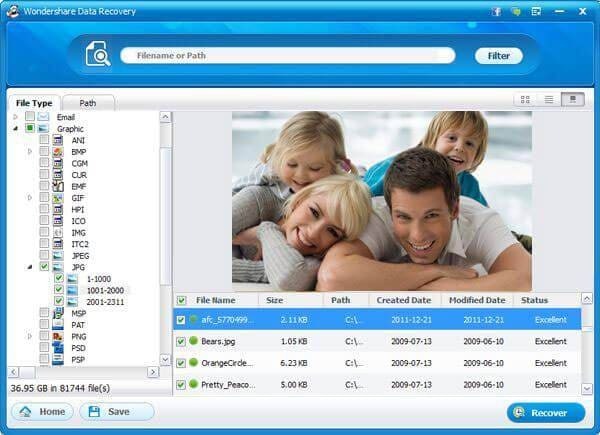 I will show you how to recover files from Kingston flash drive with Windows version of Wondershare Data Recovery. For Mac user, you can use Mac version to achieve your object in similar steps. Before launch Wondershare Data Recovery, you need to connect your Kingston flash drive with your computer. After launching the program, you will see a start window that provides 3 recovery modes. Here let’s select “Lost File Recovery” mode. The program window will soon lists all hard drives on your computer, including the storage devices. Here you just need to select the one for your Kingston flash drive and click “Scan” to scan for lost data. Note: If you want to get a better scanning result, you can decide to “Enable Deep Scan”, but it lasts longer than normal scan. When the scan finishes, all found contents will be displayed in categories or paths. You can check them one by one so as to see whether your wanted files are found or not. Plus, if you remember the file name, you can search it in searching bar. 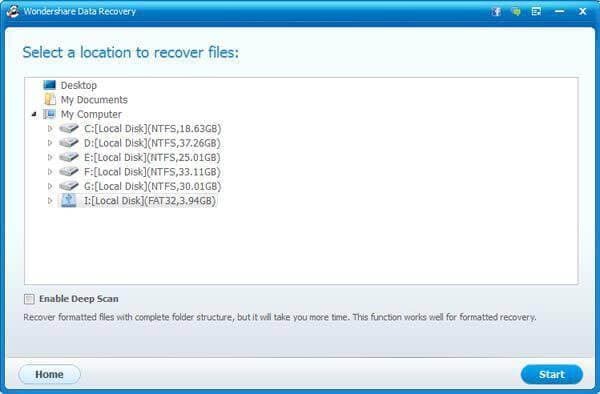 In the end, you just need to select files you want to retrieve and click “Recover” to save them in your computer. Note: Please select a folder in your computer to keep the files. It would lead to data overwritten if you save them to your Kingston flash drive immediately after the recovery.